It’s nearly time for the Butterfly Day at Tanglewood Farm! The moth is know as Millar’s Tiger Moth (Callioratis millari) and unless you are over 75years old there is no possibility of you having ever seen one in our area. This moth has been considered extinct for over 75 years and a Lepsoc Project under Herman Staude is planning to breed the species from a tiny colony recently discovered in the Eshowe area and to reintroduce it to its original home in Kloof! Funds raised at the Butterfly Day will be donated to this project so by attending the Kloof Conservancy’s butterfly day you will be helping to bring back one of our locally extinct moth species! 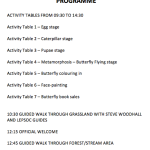 The programme at the activity tables is targeted at primary school children but there will be plenty for the adults to do with a strong Lepsoc team on hand to answer any questions you may have on butterflies. 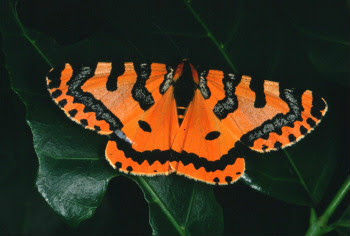 The area is particularly good for butterflies so if the sun co-operates the walks should be very productive. There will be a tuck-shop with wors and salad rolls as well as chicken burgers but you can bring your own picnic basket to enjoy on the grass banks of the dam.